Grannie’s Signature Quilt. See each block individually here. 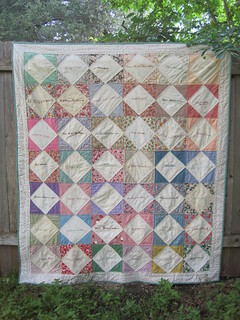 Look for a HUGE post about this quilt as I compile the history on the signatures. Mustachio! 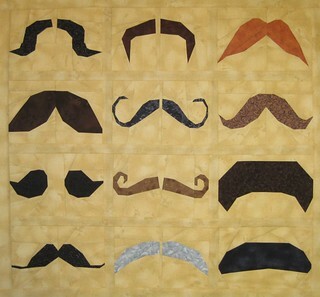 12 Mustaches to paper piece – each block is 6″ x 9″ (6 1/2″ x 9 1/2″ unfinished). To make the quilt show, use 1 1/2″ sashing and borders. Be sure to check back tomorrow for a fun photo challenge with a great prize package! This entry was posted in shop, talk to me tuesday on May 29, 2012 by Jennifer Ofenstein.